You are invited to attend this free Presentation and Reception. 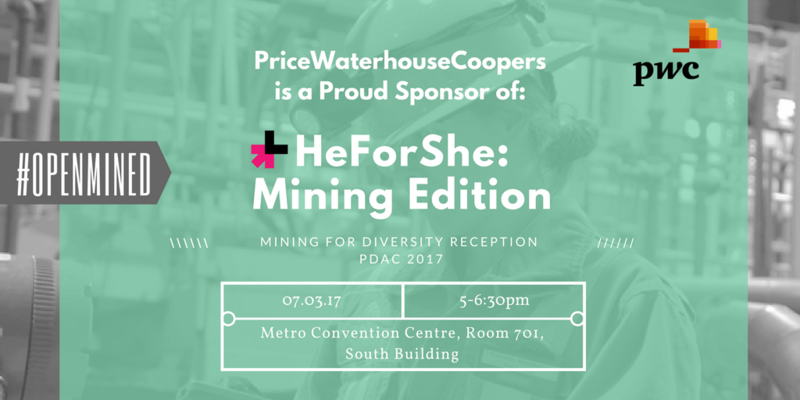 The Key to Success: In the true spirit of “HeforShe”, a UN Initiative, we invite the men of mining to join us and continue the dialogue on diversity and inclusion in mining. Come and pledge your HeforShe support. BHP Billiton recently announced a target of achieving gender balance at every level of the organization by 2025, and has elevated inclusion and diversity as a strategic priority for the business. Giles talks about this opportunity and leading diverse teams in an organization where line leaders own and drive the inclusion and diversity that are recognized as the keys to success. 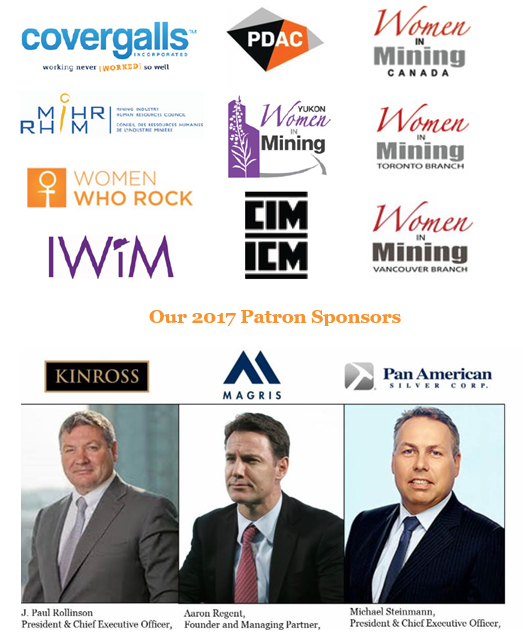 In celebration of diversity and inclusion efforts in the mining industry, the following organizations are proudly collaborating to host the first ever Diversity Reception to celebrate all gender diversity initiatives in the mining industry. Meet the visionary leaders taking action for gender equality in our organization, in their corporations and beyond. In true HeforShe style these three male decision makers are leading the way, making gender equality dialogue happen, driving change from the top. Thank you for your unwavering endorsement of our goals and activities. With increasing industry support, Women Who Rock can continue the dialogue about gender diversity and inclusion in the year ahead. The Annual Global CEO Survey, conducted by PwC, revealed that 85% of the CEOs whose organization has a diversity and inclusiveness strategy say it has enhanced business, while 56% say it’s helped them compete in new industries or countries. Interested in supporting Women Who Rock?